Staff Correspondent: Director General of Rapid Action Battalion (RAB) Benzir Ahmed said we have intelligence information that Old Dhaka’s businessmen are shifting their chemical substances to other residential areas because of taskforce operation begins. RAB DG said this while exchanging views at a programme in the capital’s Bakshibazar area on Saturday noon. 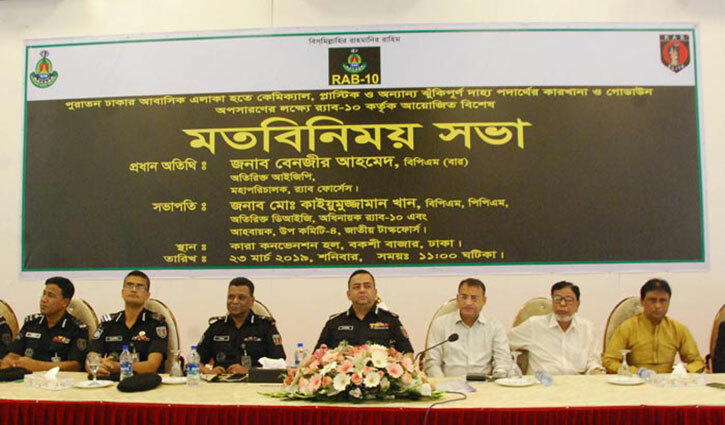 RAB-10 arranged the special view exchange meeting in aiming to shift factories and godowns of chemical and other risky combustible substance from the Old-Dhaka.